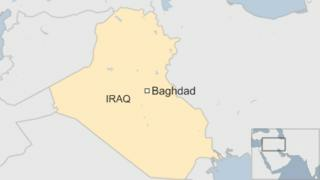 The US embassy in Baghdad has confirmed that "several" Americans have been kidnapped there. "We are working with the full co-operation of the Iraqi authorities to locate and recover the individuals," said a state department official. "A company filed a report Sunday about three of its staff going missing two days ago. They are American contractors. We are looking into this report," the senior security official said. "The safety and security of American citizens overseas is our highest priority," said US state department official John Kirby. If it turns out to be a serious kidnapping, reports the BBC's Jim Muir in Baghdad, it would be a major blow to hopes for stability and progress in Iraq. Last month, a group of Qatari hunters, including members of the ruling family, was kidnapped in the Iraqi desert. Since then, BBC Iraq correspondent Ahmed Maher says, there has been no claim of responsibility and the fate of those kidnapped remains unknown - a sign of how secretive and complicated the negotiation process is.